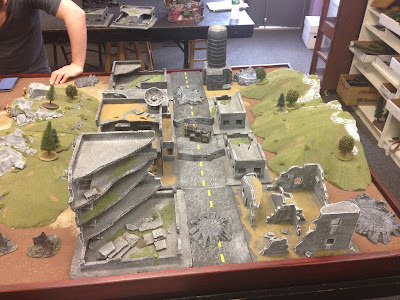 I ended up playing both weeks 4 and 5 in my Kill Teams campaign over the weekend. I had missed week 4 due to personal issues, so we just played a catch up game and then the current week's game. As a refresher, my list is Iron Warriors and is made up of 2x Siege Terminators (1 is the leader), an Apothecary, a Plasma Gun Dude and 4x Bolter Dudes. 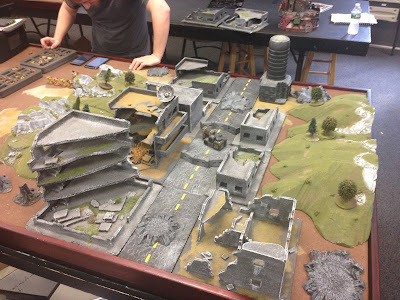 For the week 4 game, my opponent (Will) was playing Astra Militarum. He had maybe three or four 5-man squads, each with a meltagun. He also had several heavy weapon bases with either Lascannons or Missile Launchers. Really, I had no chance from the start. The heavy weapon bases were deployed to lock down all of the places I could potentially move up the board. This made it very hard for me to attack. 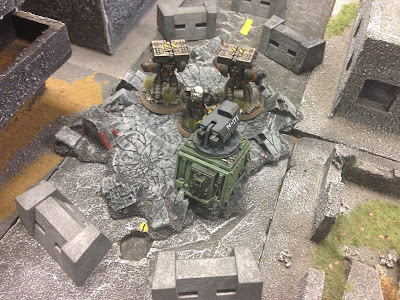 When I was able to move forward and shoot, I'd kill 2-3 Lasgun Guardsmen, who were basically throw away models. The heavy weapons and meltaguns destroyed my team. I ended up losing a single Bolter Dude permanently. It was a rough battle. 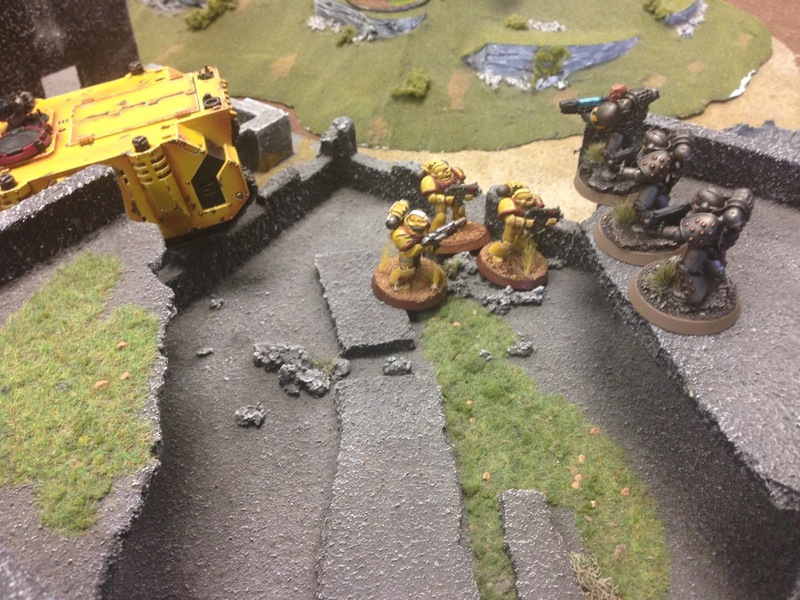 For the week 5 game, my opponent (Max) was playing Imperial Fists Space Marines. I can't think of a more thematic battle. He'd sprung for a Rhino and had a Heavy Bolter Centurion to go along with (I think) 6 or so Marines. We were playing the mission where I was defender and he was attacker. 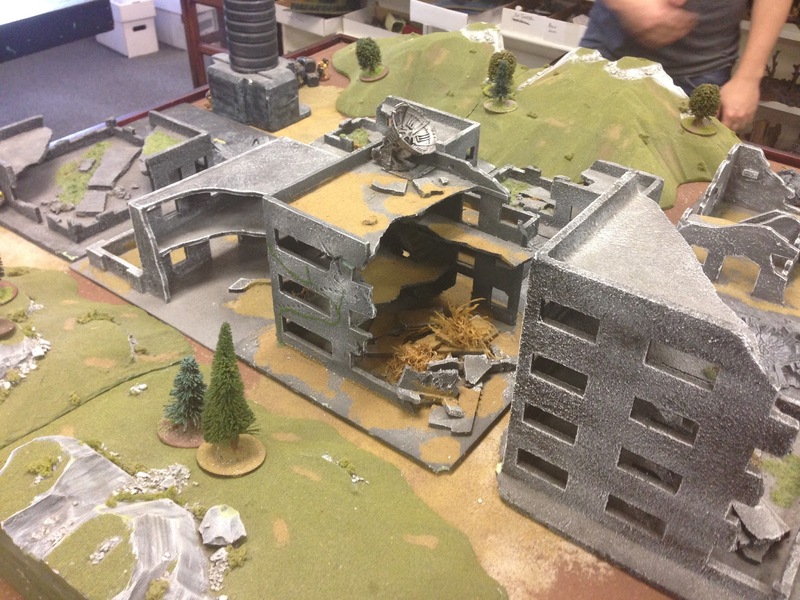 If I made it to the end of round 5 with at least half my models remaining, I win. If he gets me to below half strength, he wins. If he gets me to below half strength, but I also get him below half strength, it's a draw. In practice, that means he only had to kill four of my models, while I had to kill five of his. Given how small the sides were, it was mostly a game of exchanging fire and two assaults. 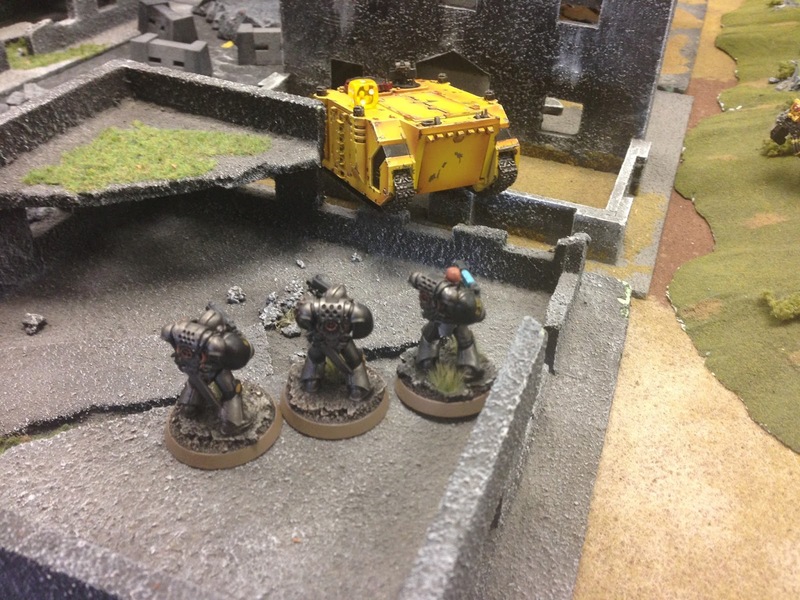 I ended up making a series of lucky saves, while my Terminators missiles and power fists denied him armor. 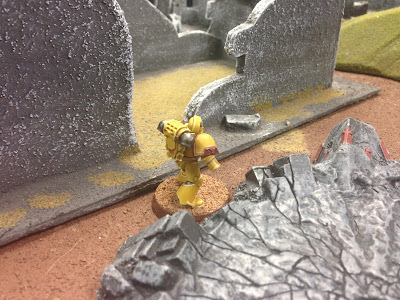 I ended up winning at the end of round 5 with four of my seven models alive and seven of his nine dead. It was a fun game and he could easily have won had I failed one more armor save. The tables we played on were gorgeous.